After a series of strange events giant monsters roam free the Earth, an alien invasion is on course, and the biggest, most epic fight of history is about to begin. Welcome to The Destruction of the Nuclear Monsters! 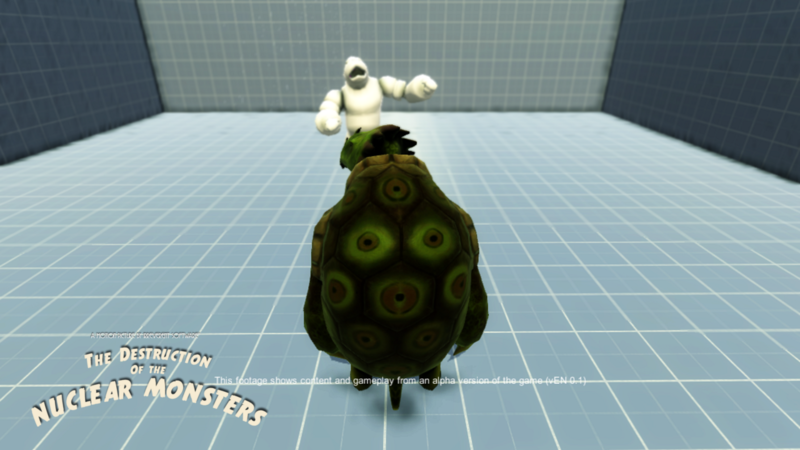 This is a small interactive test, a small demo, that will let you control one of the giant monsters in a controlled scene. This is a build from a very early Alpha version, so the art assets and performance are not final. Besides, being an early Alpha, some bugs may appear. To run the demo, you need to meet the following minimum requirements : Processor : Intel Pentium Dual Core 1.86Ghz RAM : 2Gb VRAM : 256Mb HDD : 512Mb OS : Ubuntu 14.04, Windows Xp, or above.